Located west of the country, the Pacific Coast is about 1700 km long, with beaches, mountains and valleys. It includes the area going from Sinaloa to Tehuantepec, in the state of Oaxaca. It features a tropical climate in the beaches areas (about 15 °C (60 °F) minimum to 32 °C (90 °F) maximum), and a much colder climate in the mountainous areas that are part of the Sierra Madre del Sur. In the state of Sinaloa, Mazatlan is renowned for its carnival, one of the most important in the country. The mystic state of Nayarit is characterized by its traditions and the ancestral wisdom of the Cora and Huichol peoples. There you will find multicolored handicraft made of wood, fabric and gemstones. 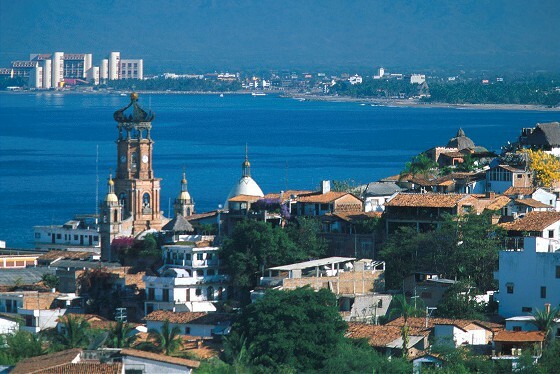 Farther south you can find the wonderful Puerto Vallarta, Costalegre, Volcán de Colima and Guadalajara. In the state of Michoacán, the beaches of Maruata are perfect for surfing. In the state of Colima, fishing tournaments take place on the beaches of Manzanillo. Then, in the state of Guerrero, you will get the possibility to visit the picturesque town of Taxco, with its cobblestone streets, and to buy the most beautiful silver jewelry. 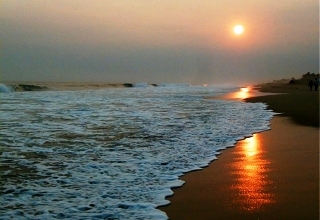 On the coastline, you will get to enjoy the beaches of Ixtapa-Zihuatanejo, which nice waves will make you want to rest. Also on the coastline is Acapulco, which bay is considered to be the world's most famous bay. Finally, in the state of Oaxaca, home state of some of the greatest Mexican painters such as Rufino Tamayo, Francisco Toledo and Rodolfo Morales, you will find the city of Oaxaca and the archaeological sites of Monte Albán (declared a World Heritage Site) and Mitla.